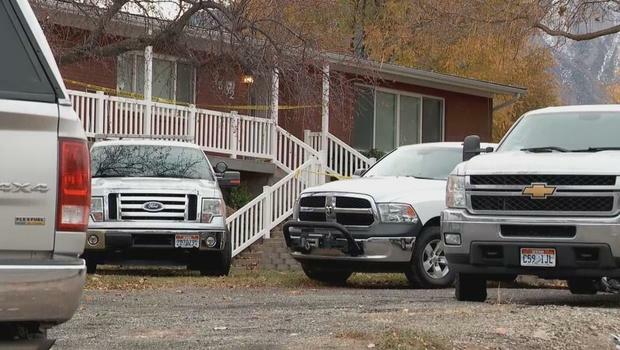 When authorities went to the home of a family in Utah, they did not expect to find all four members, plus their dog, dead. Apparently, the bodies were found in various parts of the home and it appears that they all were all shot to death. Police believe they are looking at a potential murder-suicide case, but have yet to reveal the name of the family or who was main perpetrator of the crime. People who lived in the same neighborhood as the family notified police when they realized that the family was nowhere to be found for a few days. Allegedly, the lights remained on in the house, but no sign of activity occurred. Also, one of the family members failed to show up for work for several days. Police arrived at the home expecting to find that the family had gone on vacation and forgot to turn out their lights, but when they arrived at the scene things felt off. They were told that the family had a very lively dog that barked anytime someone came near the house, so when police knocked on the door and got no response from a canine a red flag was raised. After several more attempts to get a response from someone inside the home, officials forcibly entered the residence and that is when they found the horrific crime scene. Police have yet to reveal a possible motive for the murders, but they have shared that a substantial amount of evidence has been collected from the scene. According to documents, the family had very recently relocated to the area and normally kept to themselves. Neighbors described them as quiet, friendly people who never caused any trouble. Those who knew them the most in their community shared that they are shocked and devastated by the sudden and tragic loss of the family that seemed so kind and normal. FAMOUS SURGEON Found DEAD In New York City Apartment. Were His Wounds Self-Inflicted Or Something More SINISTER?! !